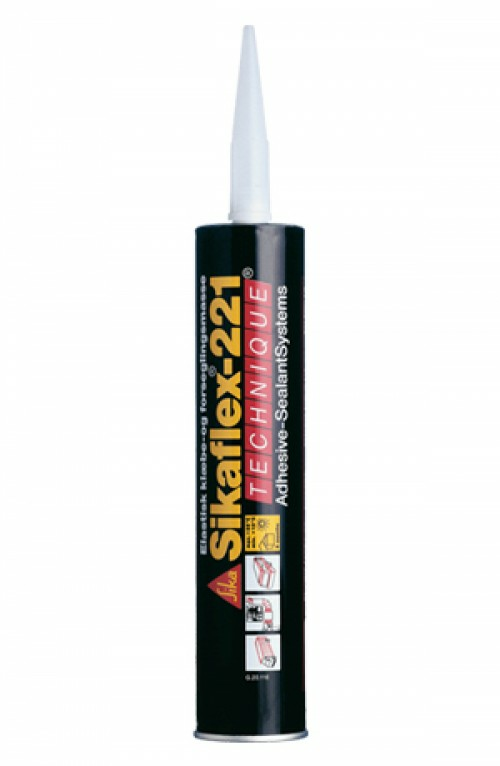 Sikaflex-221 is a high-quality, multipurpose, non-sag 1-component, polyurethane sealant that cures on exposure to atmospheric humidity and forms a durable elastomer. Sikaflex-221 bonds well to a wide variety of substrates and is suitable for making permanent elastic seals of high adhesive strength. Suitable substrate materials are: timber, metals, metal primers, paint coatings (2-C systems), ceramic materials and plastics. Seek manufacturer’s advice before using on transparent and pigmented materials that are prone to stress-cracking.